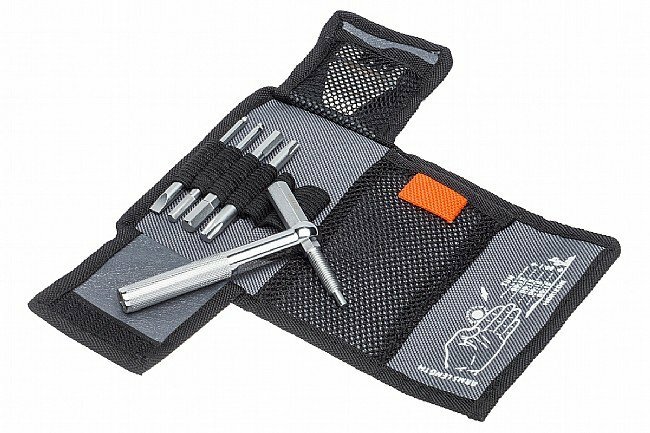 Blackburn's Big Switch Multitool is a compact and super functional toolkit with all the essentials, including T25 and T30 torx bits, 2.5, 3-6, and 8 hex bits, and a flathead screwdriver. The Big Switch also includes a chain breaker with 0-2 spoke wrenches, a disc pad spreader, and a Presta valve core tool. 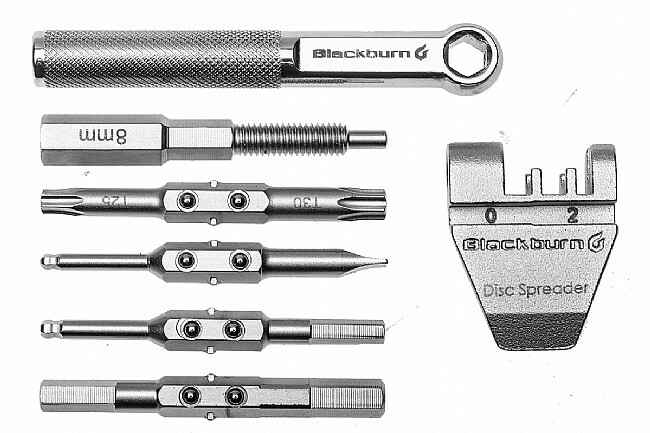 The individual T or L handle tools enable access tight places and more leverage on bolts and screws. Includes T or L handle wrenches for enhanced leverage. Tool bits: T25&30, 2.5, 3-6 & 8mm hex, and a flathead. Machined presta valve core tool. 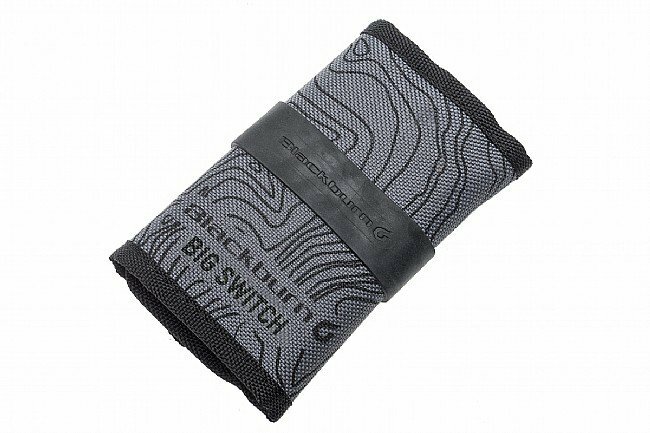 Included nylon carry case (107x74mm).